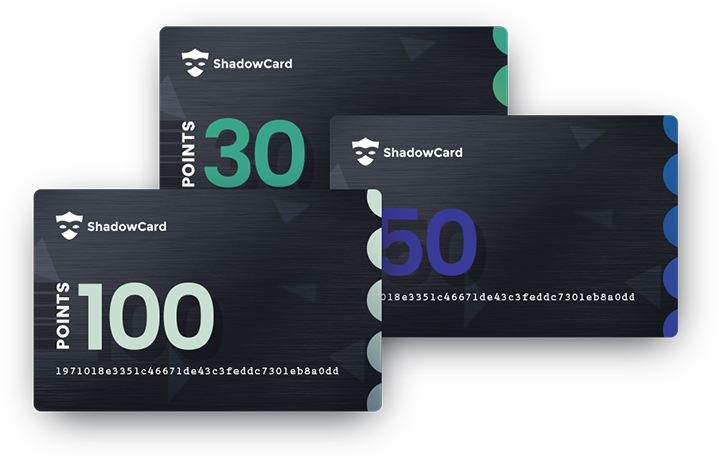 ShadowCard is an anonymous, secure, privacy-oriented prepaid game card. Our payment providers are hand-picked specifically for privacy and data protection, the information you provide is extremely limited and stored using the highest current standards for hashing, encryption and overall security. Shadow Card and its payment gateways do not store nor require any personal information, and we do not store or keep any end-user IP logs. We are now accepting low fee LTC payments in addition to the other cryptocurrencies! PixelGameCard is no longer a provider we work with! We are now accepting secure payments via the cryptocurrencies Bitcoin and Ethereum! Our frontend and backend no longer capture, process or store any end user IP addresses as of today! ShadowCard is now using Pixel Game Card to provide gamers anonymity when purchasing Game Products! With the addition of PGC we have also added $1, $5, $10 and $75 cards to correlate with this vendor's products.